Upon arrival in Vietnam, I joined the 2/9th at the base camp in Pleiku, where I immediately underwent a week of intensive jungle training. At the completion of that training, I was sent into the field participating in Operation Paul Revere II, about 20 miles south of Pleiku. I was put in a two-man tent along with another artillery surveyor. Just after midnight , I was rattled from a nervous sleep by a loud, nearby explosion. I jumped out and peered out of the tent into the darkness, to see what looked like a small mushroom cloud. “Holy crap!” I thought, or something to that effect, "we're under attack!" 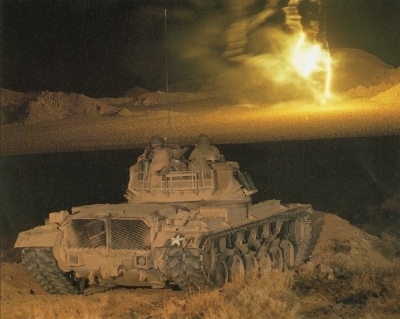 As my brain finally awoke, I realized the “mushroom cloud” was just a tree against the darkness of the night, and, as I was to learn later, the “explosion” was one of our tanks, about 50 yards from our tent, firing H & I missions (Harassment & Interdiction fires). The H&I's were there to stay; any sleep you got was optional. I went back to sleep thinking that this was going to be a very long year.